Westminster College, Fulton, Missouri 1978. Washburn University, Topeka, Kansas 1983, with honors. Mike Halloran is a trial attorney defending individuals, businesses and insurance companies in a wide variety of matters. In his 35 years of practice, Mr. Halloran has tried cases involving personal injury, business liability, construction defects, uninsured motorists claims, alleged improper vehicle repairs, underinsured motorist claims and first party claims involving arson and alleged thefts in Kansas and Missouri, both in the Kansas City metropolitan area and throughout the states. Mr. Halloran has successfully argued before the Missouri and Kansas Court of Appeals and the 8th Circuit Court of Appeals. Prior to joining the firm, Mr. Halloran practiced civil litigation and worker’s compensation defense with his own firm for 20 years. He graduated from Westminster College in 1983 with a B.A. in Economics and Business Administration. 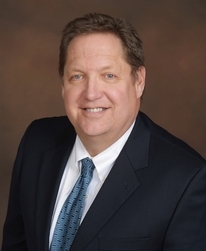 After two years working for an insurance carrier as a multiline claims adjuster, Mr. Halloran attended law school at Washburn University, graduating with his law degree in 1983, graduating with honors. During law school, Mr. Halloran represented Washburn University in the Midwest Moot Court competition. He is a past president of the Kansas City Claims Association.